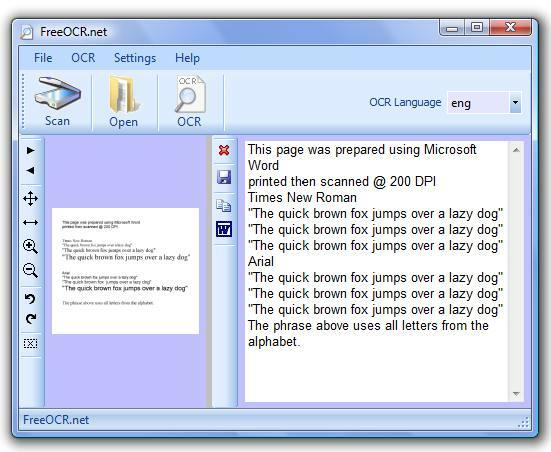 FreeOCR will have the ability to scan from any Twain or WIA scanner and be able to file the images directly within the software, adding metadata and possibly OCR. We hope to release this software near the end of 2010. But don't go away empty handed as we are currently hosting the latest version of FreeOCR and hope to continue to provide this service in the future. FreeOCR supports scanning from most Twain scanners and can also open scanned PDF's and multipage Tiff images. FreeOCR has moved around the internet a bit lately as it takes up a large amount of download bandwidth but since we are not using this site fully yet we offered to host it FOC. Qweas is providing links to FreeOCR 4.0 as a courtesy, and makes no representations regarding FreeOCR or any other applications or any information related thereto. Any questions, complaints or claims regarding this application FreeOCR 4.0 must be directed to the appropriate software vendor. You may click the publisher link of FreeOCR on the top of this page to get more details about the vendor.